Hundreds of thousands of property crimes occur in Florida every year (including burglary, theft, motor vehicle theft, etc.… (Florida Department of Law Enforcement, 2017). Add to that crimes resulting from home invasions such as homicide, assault or kidnapping and it is quickly apparent that there is a need for superior Residential Security. 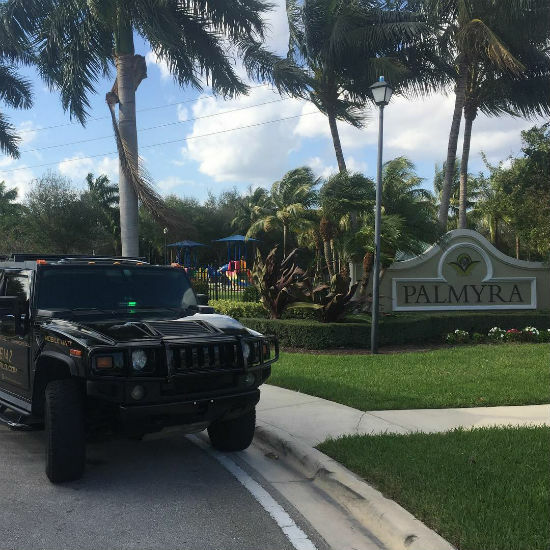 Concentrated residential areas of higher socio-economic families such as gated residential communities and condominiums can be attractive targets for career criminals who know how to bypass electronic security systems and avoid detection by routine security patrols. Here at Guardian, we take a more proactive approach. We are firm believers that “prevention beats the cure” (every time). Over 900 people move to Florida every day (www.city-data.com). This results in more residential communities and condominiums being built, which results in more security companies stepping up to the plate as viable options. We are fully aware of environment of our industry and strive to separate ourselves from the rest. By being proactive, we believe we must “think like the bad guy” so we do our due diligence to cover all angles of risk involved with the job of protecting your home and community. Since established in 2005, Guardian Professional Security has built our business and our reputation by providing security for major events and high profile / high risk clients around the world. Over the past decade plus, we have extended our security services to include a division that is near to our hearts…Residential Security. Our families live here too, this is our home. Our company was founded in the tri-county area (Broward). We are truly a local business with headquarters 30 min from anywhere in the tri-county area. In order to separate ourselves from the rest, we have created our very own dedicated training facility; where we train our guards for physical and mental fitness, knowing the law, State licensing, medical training and more. Our greatest asset is our employees. A team of mentally and physically fit guards who are trained and licensed to the highest industry standards and in the latest security techniques to provide real protection for the most challenging of security tasks. A significant benefit of our success and growth is that we tend to pay our guards more, while holding down the cost to our clients. This means we can provide you with superior residential protection services at affordable rates. We know that like with everything else…we get what we pay for, so we do right by the guards. How are we able to pay our men more yet charge the clients a competitive rate? Simple, we are a local agency and not a nationwide or worldwide conglomerate. This means our margins are much thinner than our competition’s which results in A.) a better quality of guard and B.) a much lower turn over ratio then the rest of the agencies in the security industry. Now more than ever, is a good time to consider the right company for your and your family’s safety. 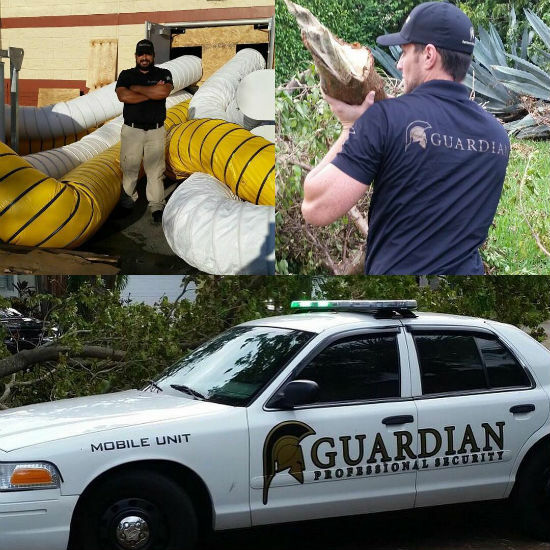 Our highly trained, licensed and insured guards are here to serve and protect our clients no matter what risks may arise; 24 hours a day, 7 days a week. Contact us today and take the first step toward sleeping more soundly in the security of your own home. Are you happy with your Residential Security provider? If not, please contact Guardian to see what real, life protection can do for your peace of mind. You and your family should feel safe at home…we will make that possible with our professional and highly qualified security officers, 24 hour Supervision, real time incident reporting and a proactive approach to protecting our clients at all times.